If you saw the pictures from our most recent packaging party, then you know what a great first couple of months we’ve had! Thank you to everyone who bought or tried to buy a bookworm box! At first we really didn’t think we’d sell but maybe 100 a month, so we thought it would be rather simple to box, label and ship the books. But 100 turned into ten times that in a matter of minutes! We are so grateful for this because it has given us the opportunity to raise more than $40,000 for charity in just two months! IMPORTANT INFORMATION regarding on sale date. We initially announced that our May Bookworm boxes will be going on sale tomorrow, April 19th. However, due to a new PayPal policy we just found out about tonight, we cannot list the boxes for sale until a certain number of days before they will be shipped. Therefore, the new date to order May boxes will move to Sunday, May 10th at 3pm central for U.S. and 12pm central for international orders. Again, we apologize for this inconvenience. Profusely. …and others who prefer not to be mentioned. 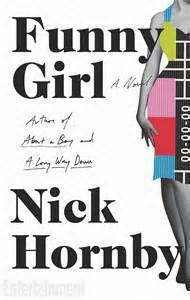 Funny Girl by Nick Hornby is not the typical type of book I read. To be honest it is pretty far out of my comfort zone. I would call it a fictional memoir set mostly in the 1960s. The book opens with Sophie Straw (still named Barbara at the time) winning a beauty competition and being crowned Miss Blackpool. The moment the crown and sash are placed on Sophie, she knows that this is not the life for her. She wants to move to London and be a female comedienne. After handing over her crown to the runner-up Sophie packs her bags and heads to London. After several weeks of working at a department store and with no leads to the world of comedy Sophie meets Brian, an agent. Brian wants her to just be another pretty face in commercials, but Sophie has a dream. She wants to emulate her idol, Lucille Ball, and be on tv in a comedy. Sophie goes to many unsuccessful auditions before she meets Bill and Tony, radio writers who are trying to break into comedy tv. With a great group of colleagues and friends, Sophie becomes a tv sensation starring in her very own sitcom which runs for several seasons. The book closes on Sophie reuniting with Bill and Tony to write a reunion play for all the stars of the 50 year old tv program. This novel reads like a true story. The life and laughter shown throughout makes you wish you were helping create the sitcom right along with the characters in the book. Each characters personality is reminiscent to real-life actors of the same time. The last chapters dealing with the reunion of the cast is bittersweet but mostly melancholy. Everyone has aged and is no longer in touch with their typical audience. The struggle to connect feels very real and is heart wrenching. I have never read a book that makes you seriously doubt the fictional aspects of it as much as this novel does. The writing is vivid and very relatable. If you know me, you know I love monthly subscriptions. It doesn’t matter if it’s a fun magazine, numerous samples, or a box of themed products. For me monthly subscriptions are like getting gifts in the mail every month. 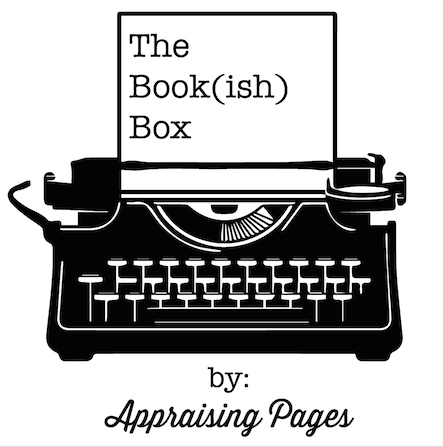 I’ve been researching book related box subscriptions and came across The Book(ish) Box by Appraising Pages. With a monthly subscription you get 3-5 feminine home, beauty, and fashion items as well as a shirt from the Appraising Pages Shop. The shirt is exclusive to The Book(ish) Box and cannot be bought in the Appraising Pages Shop. Each box retails at over $50 but costs on $29.99 plus tax. Payment cutoff is the 20th of each month. Boxes ship around the 1st of each month. Order yours today before they sell out! Once I receive my monthly box I will discuss the contents plus offer any reviews that I might have. 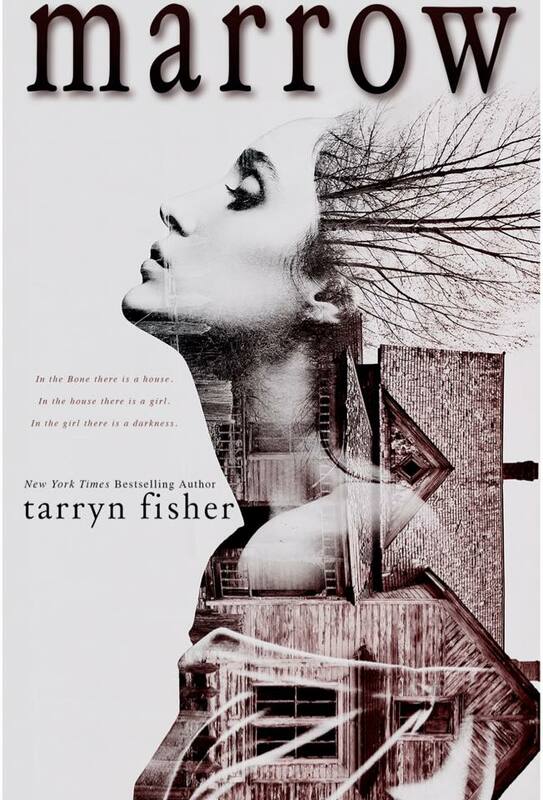 One of my favorite authors, Tarryn Fisher, is releasing a new book soon. In anticipation of the book release, Tarryn has revealed the cover of her new book, Marrow. I love the cover. I can’t wait to read this book! Keep an eye out for more updates before the official book release. Over the holiday weekend I finished a great book, Big Little Lies by Lianne Moriarty. I had seen this book recommended a lot on social media, and with great curiousity I checked the book out from my local library. I was immediately drawn into the curious lives of the people living on Pirriwee Peninsula in Australia. New in town Jane with misunderstood son Ziggy, Madeline with her blended family, and Celeste and her rambunctious twins form unlikely friendships with each other while navigating through the drama of kindergarten. The women find that they need their friendships even more as petitions start circulating for Ziggy’s removal from school. Before anything can be resolved secrets about everyone come to light and change the sleepy town of Pirriwee forever. Throw in an accidental homicide and Big Little Lies lives up to the hype surrounding this novel. Although this novel is over 450 pages it reads like a 300 page book with it’s fast-paced dialogue and action. Recommendation: I highly recommend this book to anyone who enjoyed The Invention of Wings by Susan Monk Kidd and The Sweetness of Forgetting by Kristin Harmel.